How Can You Build More Efficiently? The answer is simple with SawTek™ at Meek’s! 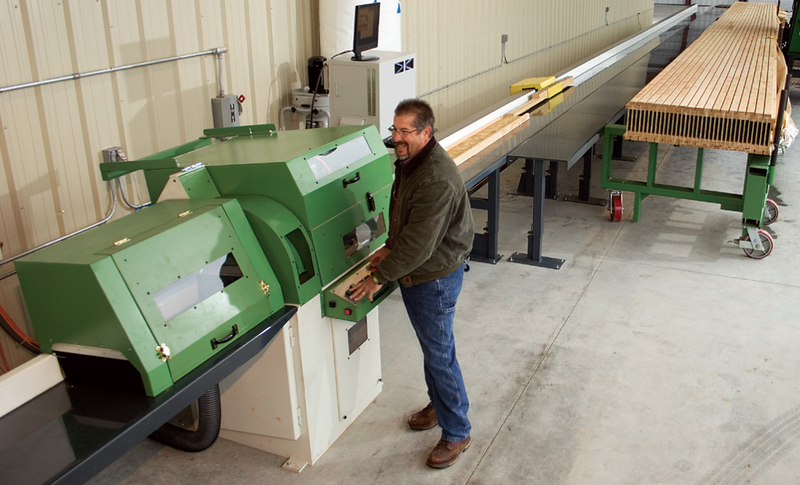 SawTek™ is the fastest and most modern cutting machine in the world. It is able to process 30,000 linear feet in an 8-hour shift. What does that mean? We can process your order quicker, drastically reducing the time from plan to project. With the help of our Engineered Wood Products department, Meek’s can improve your building process while using less material, cutting down on the project time, and eliminating mistakes. The SawTek™ system, pictured above, cuts the EWP with accuracy to an incredible 1/16” eliminating jobsite custom-cutting. Remember the saying of measure twice, cut once? Think of this system as an extra insurance piece. Meek’s provides the custom Framing Placement Plans for your job and the SawTek™ machine takes it from there. All framing can be inkjet marked based on a color-code showing you where the piece belongs according to the plan. To top it off, each piece can be packaged by construction zone, making installation one step easier. As a bonus, you can prevent framer mistakes with Boise Plans Room where you can post and update plans online to ensure that everyone is always dealing with a current set of plans. Interested in building even better homes? Contact your salesperson to get started.